Watch ad pictured timely arrived. Display your Disney love with this delightful watch from Versil. 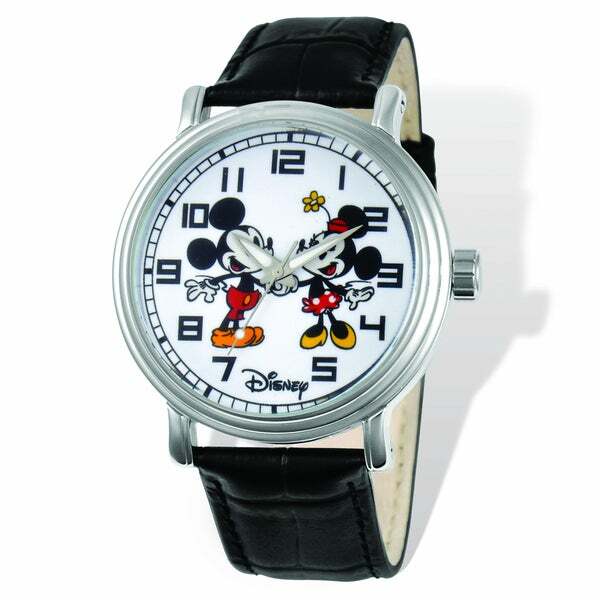 This head turning watch features a charming Mickey and Minnie Mouse design with luminous hands showing the time. With Japanese quartz movement, 44mm round stainless steel case and water resistance up to 3 ATM, this stunning watch is a great choice. A black leather strap with a buckle clasp completes this sleek 9-inch long and 12mm wide watch that comes with one year warranty on movement type. Gift for granddaughter who loves everything Disney!